A debate on television led to significant discussion online after a Sky News host and SNP politician Ian Blackford disagreed over Scotland’s future entry into the EU. The broadcaster Kay Burley was interviewing Blackford about the current state of the Brexit negotiations, and made a claim about an independent Scotland requiring to adopt the euro if it were to join as a member. This was refuted by the SNP Westminster leader. Ferret Fact Service looked at this claim and found it to be Mostly False. The single European currency has been a controversial part of EU integration since it was launched in 2002. Currently there are 19 of the 28 EU member countries using the euro. Two countries have negotiated opt-outs, the UK and Denmark, while seven countries do not currently fulfil the criteria for joining the euro area but are officially expected to do so in the future. Most of these countries joined the EU during expansion in 2004, 2007 and 2013. Debate over the currency of an independent Scotland came back into focus over recent months after the SNP announced plans to create a new currency should independence take place, changing its previous policy of a ‘currency union’ with the UK where Scotland would still use the pound. The SNP’s new position will be voted on at its party conference in April. During the Sky News interview, Blackford suggested that he was looking for independence to protect the economic interests of Scotland. This led to an exchange over whether an independent Scotland would have to use the euro. It is technically right that any country which joins the EU is expected to join the euro. The EU has been very clear over this policy. 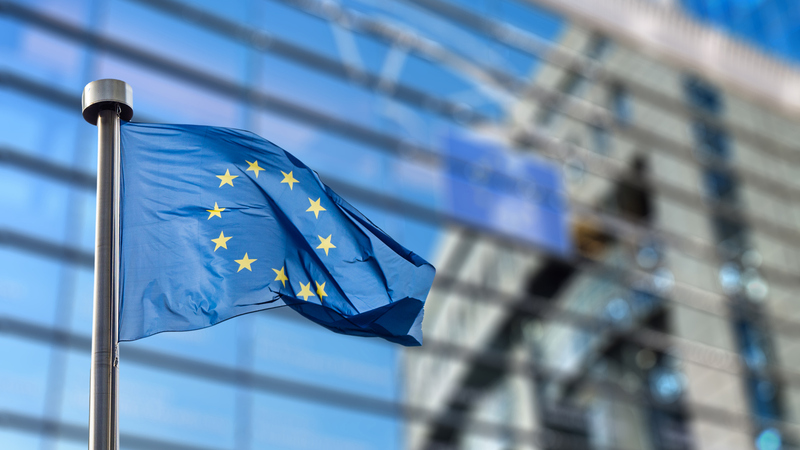 New members are not required to join immediately upon entry, but are expected to move towards euro adoption once they have fulfilled the so-called ‘convergence criteria‘. Since 2004, seven of the 13 countries who have joined the EU have started using the euro. The convergence criteria is a “set of five economic and legal indicators” that countries must first comply with. So, on the face of it, it seems that Scotland would have to join the euro area. However, it is slightly more complex than that. Blackford’s argument during the interview was that any country adopting the euro would first have to join the Exchange Rate Mechanism for two years. The Exchange Rate Mechanism was set up “to ensure that exchange rate fluctuations between the euro and other EU currencies do not disrupt economic stability”. This means that non-euro EU countries can ‘peg’ their currency to the euro, and their currency value must fluctuate within certain boundaries. The last three countries to join the EU were Bulgaria, Romania and Croatia. None of them has as yet joined the euro or the ERM. However, they have all committed to joining in future. Blackford argues that joining the ERM is “entirely voluntary”, but it is not quite that simple. 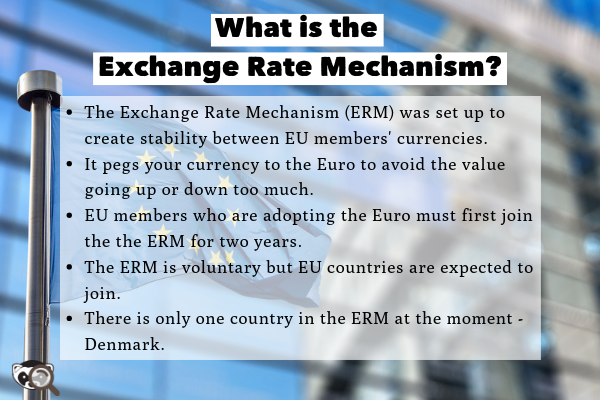 The EU legislation says that “participation in ERM is voluntary for non-euro countries with an opt out from the single currency” but that members “are expected to participate”. This means that to avoid joining the ERM, Scotland would likely need to negotiate an opt-out. Currently the only country in the ERM is Denmark. The UK was part of the first ERM, but was unable to keep within its boundaries and left in 1992, a day known as ‘Black Wednesday’. The EU does not have a formal timetable for countries joining the currency, and says “it is up to individual countries to calibrate their path towards the euro”. Recent comments by senior EU figures appear to have softened the stance on joining the euro, however. Jean-Claude Juncker, the President of the European Commission, said in 2017: “I have no intention of forcing countries to join the euro if they are not willing or not able to do so”, however he restated that countries were expected to join, unless they had a formal opt-out. Scottish Government figures who are opposed to Scotland joining the euro can also be heartened by the example of Sweden. The country joined the EU in 1995, and has not yet adopted the euro or entered into the ERM. Euro membership was defeated in a referendum in 2003, and the country has no formal timetable for signing up. The EU has not exerted significant pressure on Sweden to adopt the euro. While it is not possible to say what an independent Scotland may need to do to re-enter the EU after leaving the UK, there is certainly a precedent for countries within the EU not joining the euro, or delaying it indefinitely. It is possible that Scotland could negotiate a formal opt-out, but this has not been the case for other recent EU expansion nations. If an independent Scotland joined the EU it would technically be expected to sign up to the single currency. The majority of EU states are either in the euro already, or on the way to joining. However, there is no timetable for joining and some countries have either negotiated an opt-out or have not made practical steps towards adopting the euro since entering the EU. It is likely that Scotland could join the EU and keep its own currency indefinitely. FFS explains: how does EU trade work? Would an independent Scotland have to join a queue for EU membership?